Thanks for stopping by this Sunday morning – or any other day or time you’re checking out this post! Just want to remind you that next weekend the RemARKables will host another blog tour – the featured stamp set is Hearts A-Flutter! Yep, Valentines’ Day is on the way…time to start thinking hearts and flowers! Sale-a-bration starts January 22, so get working on your wish list. Even better, gather a few friends and let’s plan a little crafting fun! 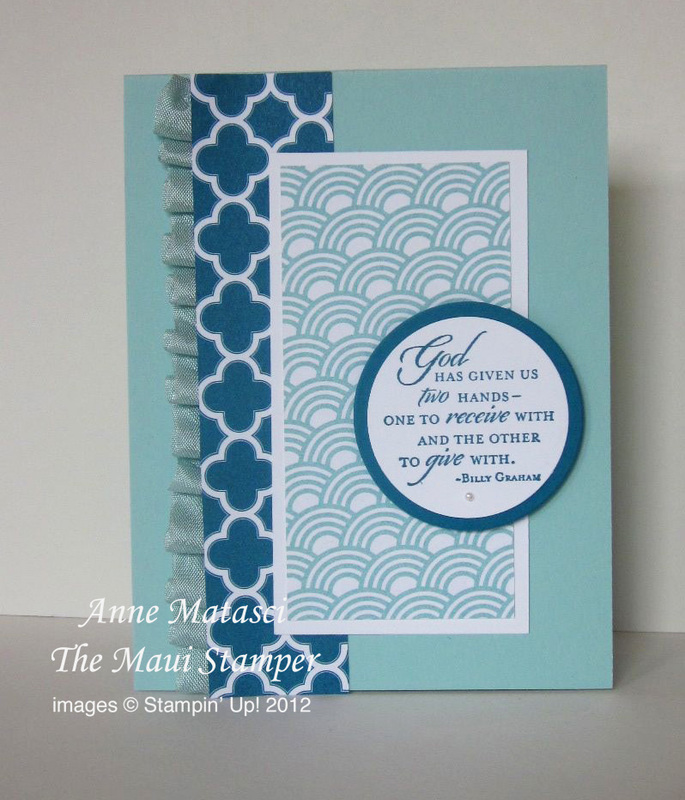 Everyone gets free products with SAB, and of course hostesses get SAB goodies PLUS free product from Stampin’ Up! One of my New Year’s goals is to focus on cards that can be mailed. Cards that can be mailed get sent to people; cards that can’t be mailed or are expensive to mail sit in my drawer! I’ll still have fun from time to time with “More is More” cards, but I’m really going to make an effort to create cards that will meet USPS standards. Stay tuned!